Old writing in „insights” magazine! 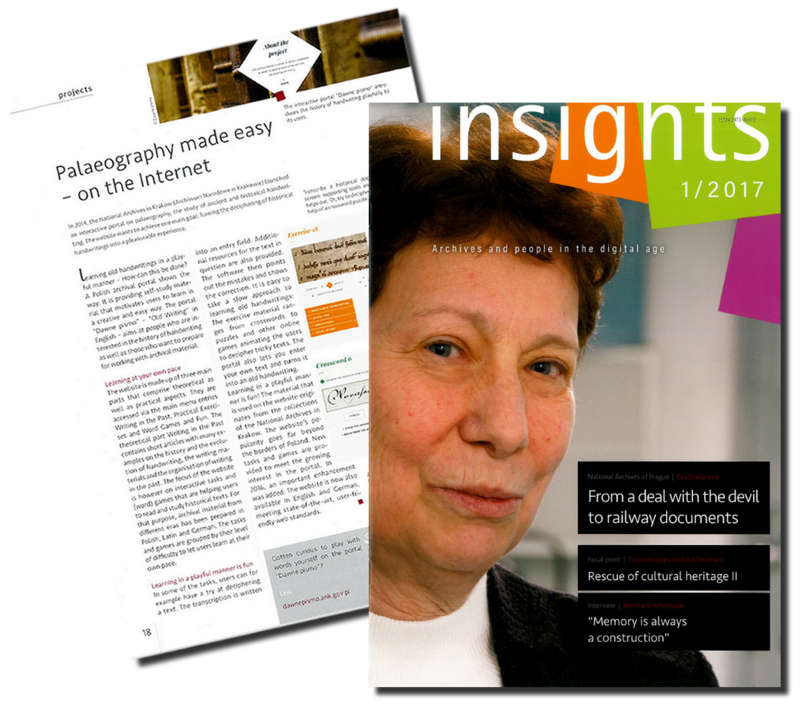 „insights” is a magazine published in German and English since 2015 by ICARUS (International Centre for Archival Research) in Vienna. The latest issue (with article about Old writing) will probably be available in autumn, but we invite everybody to take a look at previous ones!